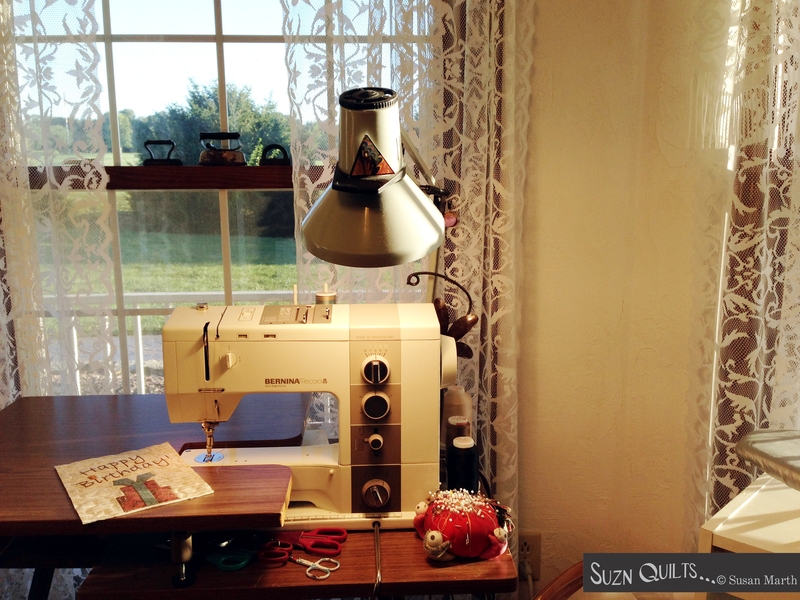 August | 2015 | Quilting my way through life! I realize I need sun glasses as I sew on a new Tiny Dresden sample. The very best kind of sewing! Guild meets this morning & I’m hurrying to get the quilt made & the binding sewn on so I’ll have some hand-work to do as I sit at the meeting. sitting at the Honda dealership getting work done on our van. I love this background fabric. It has bible verses on it. I found it at O Sew Personal Fabric in O’fallon, MO last month. 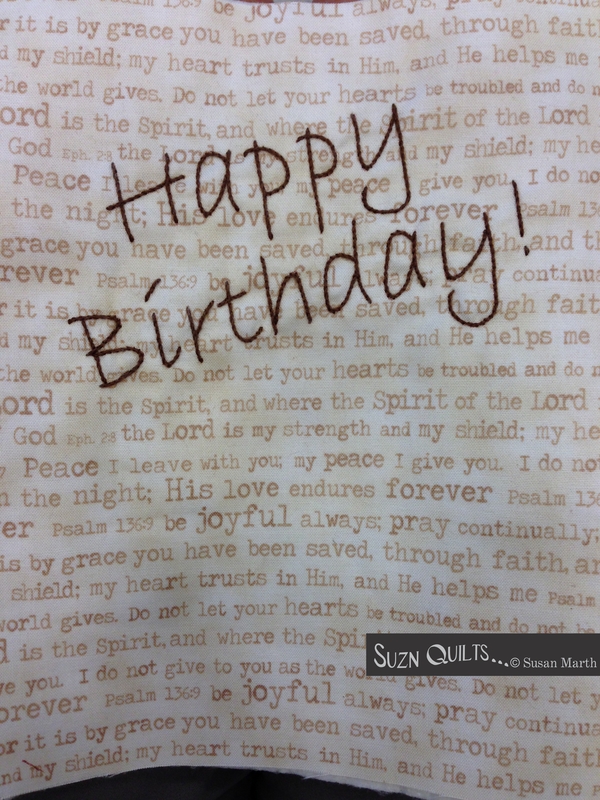 It’s a Quilting Treasures fabric by Bethany Berndt Shakelford. It’s a tiny quilt so it won’t take long to sew the binding down, but at least I’ll be that much closer to getting it into pattern form for you. Your loved ones will love it! I made two last summer & they loved them. If you remember I shared one here. I hope you’re enjoying what will inevitably the last sunny days of summer. Before long it’ll be fall, then winter…yuk! Our podcast interview is now available to listen to online. 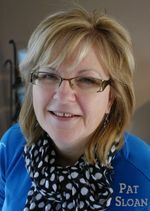 plus hear other quilters & what they’re up to. 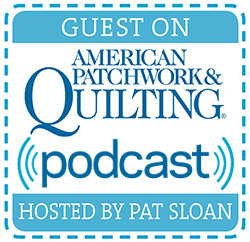 American Patchwork & Quilting Radio. Click the above link to listen. Just back from our family vacation to the Smoky Mountains, so I’m running! Don’t forget to tune in tomorrow.